Precision breeding techniques have been widely used to optimize expenses and increase livestock yields. 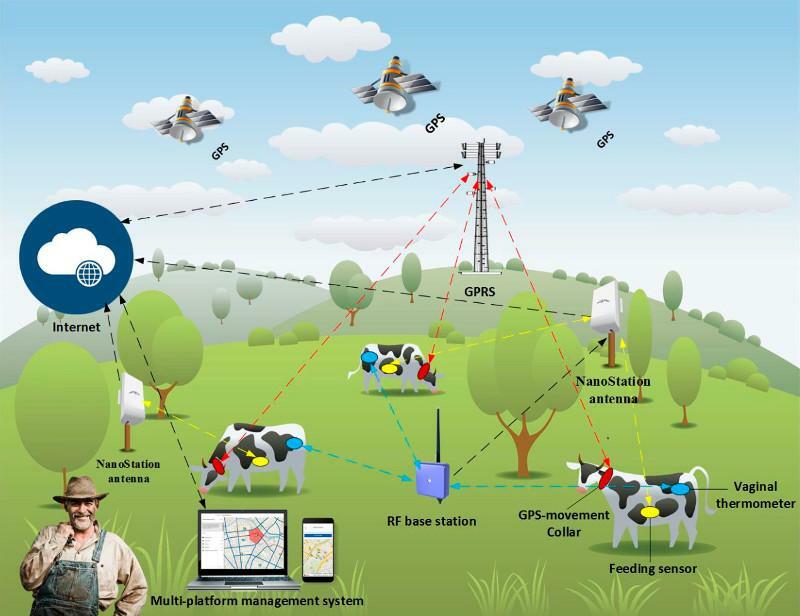 Notwithstanding, the joint use of heterogeneous sensors and artificial intelligence techniques for the simultaneous analysis or detection of different problems that cattle may present has not been addressed. This study arises from the necessity to obtain a technological tool that faces this state of the art limitation. As novelty, this work presents a multi-agent architecture based on virtual organizations which allows to deploy a new embedded agent model in computationally limited autonomous sensors, making use of the Platform for Automatic coNstruction of orGanizations of intElligent Agents (PANGEA). To validate the proposed platform, different studies have been performed, where parameters specific to each animal are studied, such as physical activity, temperature, estrus cycle state and the moment in which the animal goes into labor. In addition, a set of applications that allow farmers to remotely monitor the livestock have been developed.